Many expats in Spain tend to congregate on the most popular costas (coasts) or in the big cities, such as Barcelona or Madrid. But if you want an experience of the real Spain without living in a busy city, there are many wonderful, smaller cities, both on the coast or inland, which are well worth considering. They offer a wealth of Spanish history, culture and amenities and still retain their distinctly Spanish character. 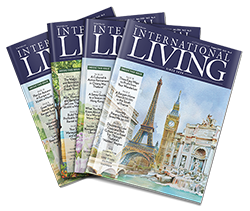 Big enough to be able to meet other expats if you want…and avoid them if you don’t! Here are three of my favourites: Girona, Tarragona and Cádiz. They all have populations around 100,000 people. Take in the views as you stroll alongside the Onyar River. 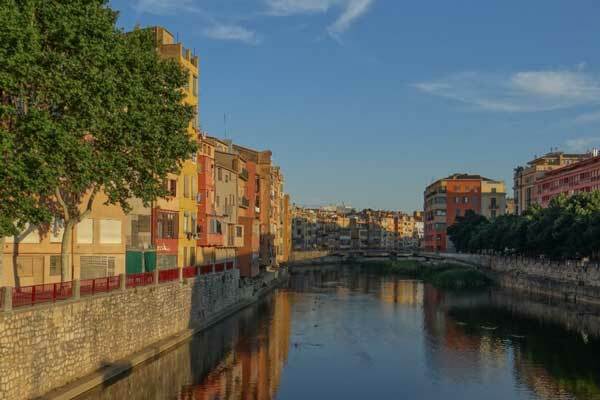 Sitting astride the majestic Onyar River and dominated by its impressive gothic cathedral, reached by a lung-bursting 86 steps, Girona is an ancient city first inhabited by the Iberians and later occupied by the Romans and the Visigoths. The 12th century Jewish quarter—with its maze of cobbled streets, staircases and squares—is one of the most interesting areas to visit and hang out. To the west of Girona is one of my favourite areas of Catalonia, full of tiny medieval villages, beautiful landscapes and spa towns, where you can swim in really hot 34 C water all year round. Balneari Prats at Caldes de Malavella is one of the most famous. If you love culture and art, Girona is full of art galleries and you’re not far from the Dali Museum at Figueres or his house at Cadaques. There are plenty of concerts and theatre performances going on too. Location is one of the big draws for Girona, being only one and a half hours from Barcelona, 45 minutes from the French border, two hours from the ski fields of the Pyrenees, and one hour from the prettiest beaches of the Costa Brava at Palafrugell. Girona has its own airport, serving many destinations in the UK and the rest of Europe. You can also get to Paris in less than six hours on the RENFE-SNCF high-speed rail service. 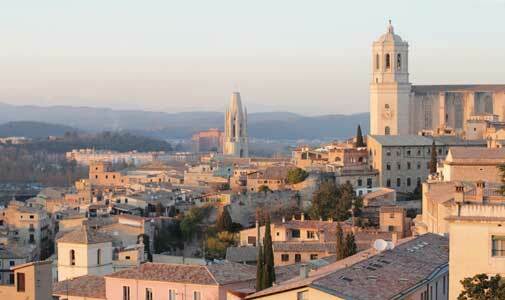 Two-bedroom flats in the old town of Girona start at about €500 ($800) a month to rent. If you prefer to be on the coast, but in a reasonably sized town with plenty going on and lots of history, then Tarragona is well worth consideration. It has 15 kilometres of gorgeous clean beaches, including some which are in quiet little pine-fringed coves. 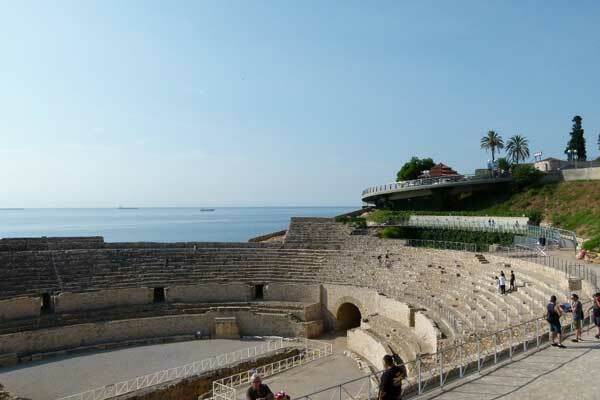 The huge Roman amphitheatre has panoramic views of the Tarragona coastline. I once went to a choral concert there and the atmosphere was breathtaking. Tarragona’s Roman amphitheatre is a must-visit. As well as the many Roman monuments and architecture you’ll find in the city, there are tree lined-boulevards with grand, 19th century apartment buildings. You can rent a flat in the centre of the city from around €500 ($800) a month. 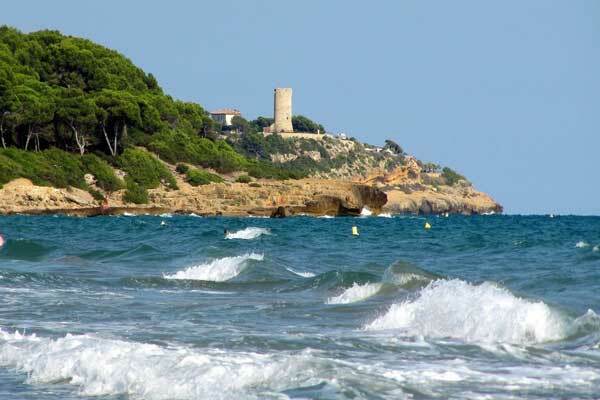 Tarragona has its own airport at Reus, and Barcelona Airport is only an hour away too. Inland, you have the wonderful mountain scenery of the Sierra de Montsant Natural Park, which is great for hiking, enjoying the views or sampling the local wines. Cádiz is a great city to live in if you want to be able to walk everywhere. Cádiz is an ancient port city in the far southwest of Spain. In fact, it’s supposed to be the oldest continuously inhabited city in Western Europe, with remains dating back an incredible 3,000 years! A maze of ancient cobbled streets and pretty whitewashed buildings, you can never really get lost for long, as whatever direction you walk you will soon hit the sea, as Cádiz is located on a peninsula surrounded by the North Atlantic on almost all sides. 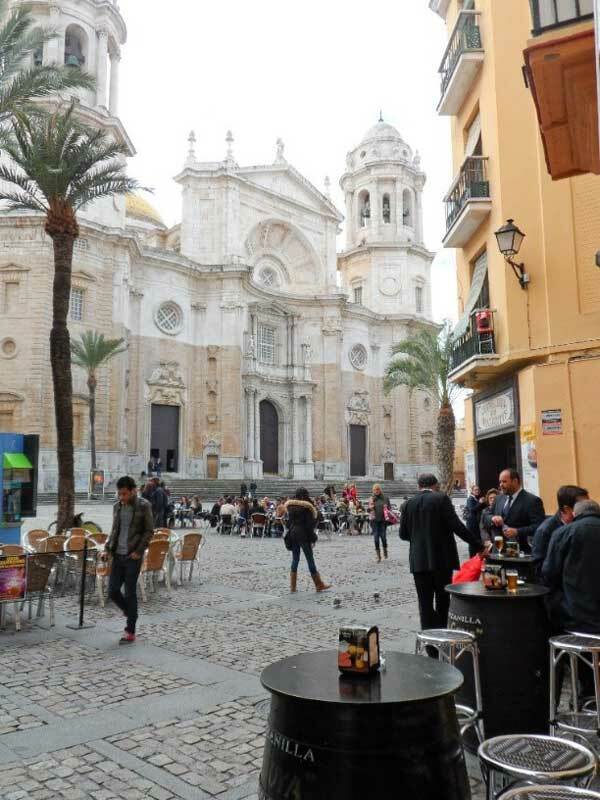 Being a little bit further away from the action on the Costa del Sol, Cádiz has kept its character as an ancient sea port and is less affected by mass tourism than many places in Spain. There are also several lovely beaches on the edge of the old town, so you have everything you could possibly need within a couple of kilometres. This would be a great city to live in if you want to be able to walk everywhere and not need a car. Not to mention the climate. It is one of the warmest places in Europe to be in the winter, though it can get very hot in the summer with temperatures sometimes hitting the high 30s C.
The main station is close to the old town and from there you can get the train to Jerez de la Frontera (famous for the sherry) and its airport in 30 minutes. Seville is only one hour and 40 minutes by train, too—and has a larger airport. In a couple of hours’ drive, you can be in Gibraltar or Marbella. And just a bit further in the other direction, you can enjoy the Algarve in Portugal. As well as the sense of history, Cádiz is full of amazing tapas bars, cafes and excellent restaurants, which haven’t changed for donkey’s years so it’s a foodie’s paradise. There is plenty to do in Cádiz, with museums, theatres and concerts, towers to climb to see the views and a camera obscura! You can rent a great three-bedroom apartment with character, in the historic centre of Cádiz, for around €550 ($880).